Wildlife guide and documentary producer Daven Hafey has a passion for all things related to wildlife, weather, tides and Indigenous culture. He has guided on more than 40 polar expeditions, in the Canadian Arctic, Greenland, Alaska and the Antarctic. The Arctic. Just speaking the name evokes a wide array of thoughts and emotions, of daydreams, and longing for those who seek wildlife adventures in the tundra and barren lands of the surreal landscape under the midnight sun. It’s this urge to explore the pristine wilderness of the High North that draws visitors to Arctic Watch Wilderness Lodge, an off-the-grid base camp built to withstand the Arctic climate. 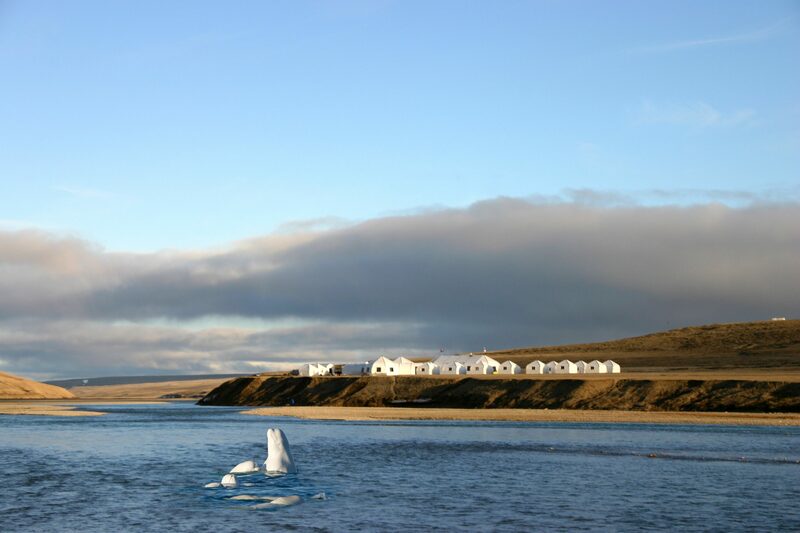 Located on the northern edge of Somerset Island, nearly 800 km north of the Arctic Circle, Arctic Watch is small, family-run, remote land-based lodge that enables visitors to explore the wilds of Canada’s Nunavut Territory. 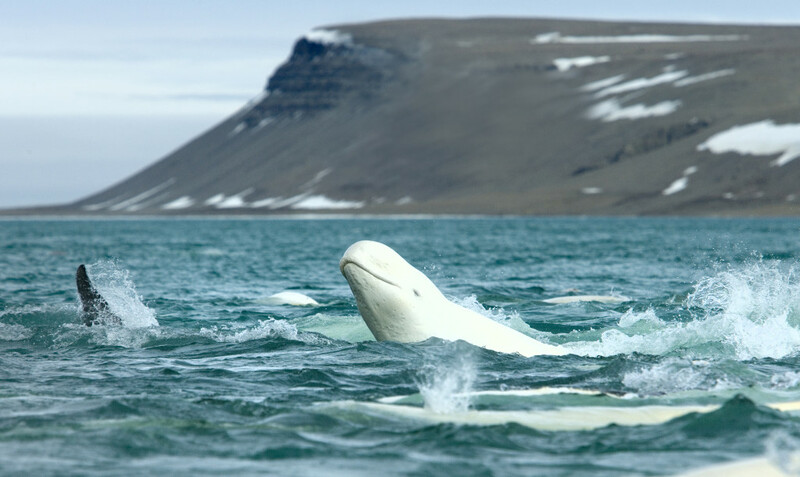 One of the most popular draws to Arctic Watch Wilderness Lodge is the prospect of witnessing the annual beluga whale migration to Cunningham Inlet on the island’s northern shores each summer. There, in the waters of Cunningham Inlet, the majestic belugas socialize and reconnect with hundreds of their species in the quiet and pristine waters off Peel Sound. Few wilderness experiences rival the vision of mother belugas and their calves playing in the shallows of Cunningham Inlet. I’ve encountered so many other wildlife species during my visits to Arctic Watch Lodge. 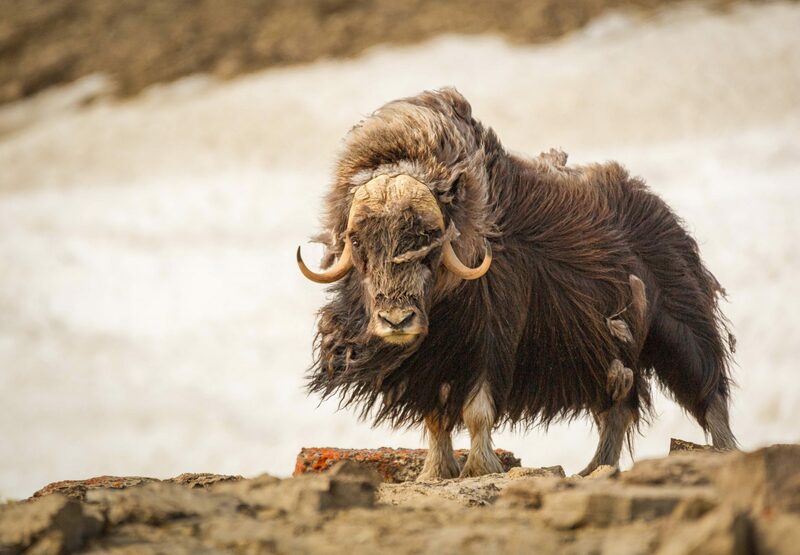 Muskox abound in the tundra and talus slopes of Somerset Island, along with Arctic hare, Arctic fox, and occasionally caribou. The King of the North, the polar bear, is often seen in the region, as the McClintock Channel on the west coast of Somerset Island is home to one of the more stable populations of polar bears in all of the Arctic. Migratory birds also take advantage of the short Arctic summer, congregating en masse to feed, breed and rear their young before returning south for the winter. Arctic terns and eider ducks are plentiful. 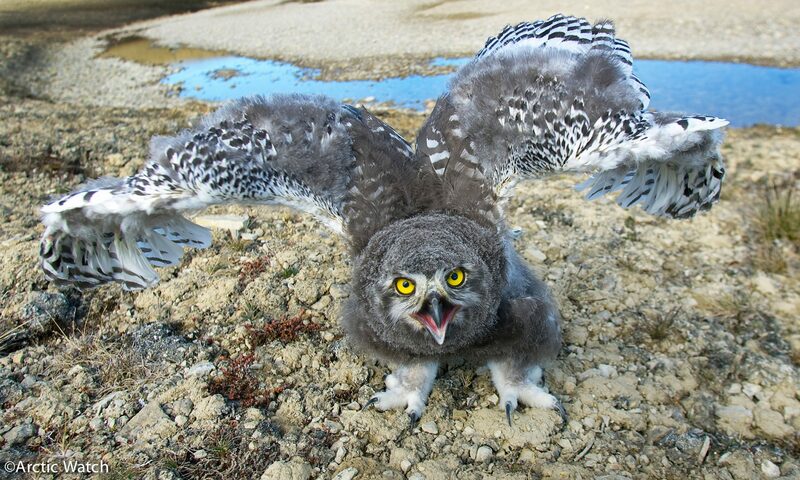 The chance to observe such wildlife in their natural habitat is the appeal of the Arctic. Sea kayaking and stand-up paddle boarding are popular ways to explore Somerset Island. 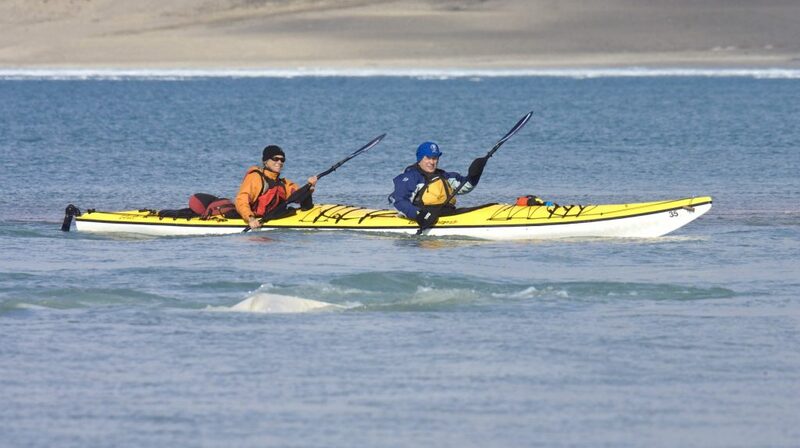 Imagine gliding through the pristine Arctic waters with sea ice on one side of you and dozens of belugas on the other, or propelling yourself forward on a stand-up paddle board in Cunningham Inlet while watching and listening to the belugas as they congregate in the same waters. The expert team at Arctic Watch Wilderness Lodge, operated by Richard Weber and Josée Auclair along with their sons Tessum and Nansen Weber, do their best to ensure guests get a fully immersive wilderness experience. That can mean navigating the rivers upstream of Cunningham Inlet to check out the water-filled canyons and waterfalls while on the look-out for musk ox, Arctic fox, and other iconic wildlife. In the absence of developed trail systems, fat bikes provide an excellent means of exploring rocky beaches, hillsides, and ridgelines inhabited by myriad Arctic wildlife. Guests can also hop on an all-terrain vehicle (ATV) to explore a distant ridge or plateau land and then explore on foot. Lodges guides are available to drive should a guest prefer not to operate an ATV on their own. The team at Arctic Watch includes experienced fishing guides who can equip you with gear if you don’t bring your own. It’s hard to imagine a more pristine freshwater environment than the rivers, streams, and meltwater ponds of the High Arctic. Thawed and free-flowing for brief periods every summer, the cold, clean rivers and streams of the Far North are paradise for fish, especially Arctic char, which sometimes weigh more than ten pounds. Visitors who feel the urge to absorb the wonders of the Arctic at a more leisurely, relaxed pace can go on a hiking or photography-themed outing – or they can simply choose to enjoy the Arctic wilderness in solitude. Joining a guided hike means you have the benefit of listening to staff recount endless stories and northern experiences, which provide historical, ecological, or cultural context. What better way to learn about the intricate, resilient, and delicate ecology of the Arctic wilderness. Interested in learning more about Quark Expeditions? Visit www.quarkexpeditions.com. Quark Expeditions is the leader in polar travels. 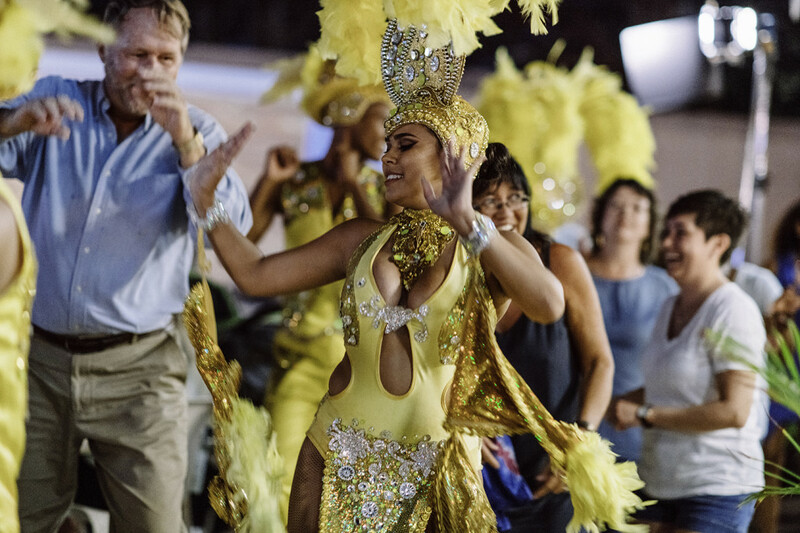 Quark Expeditions has been taking global travelers on immersive journeys to the Arctic and Antarctica for almost three decades.